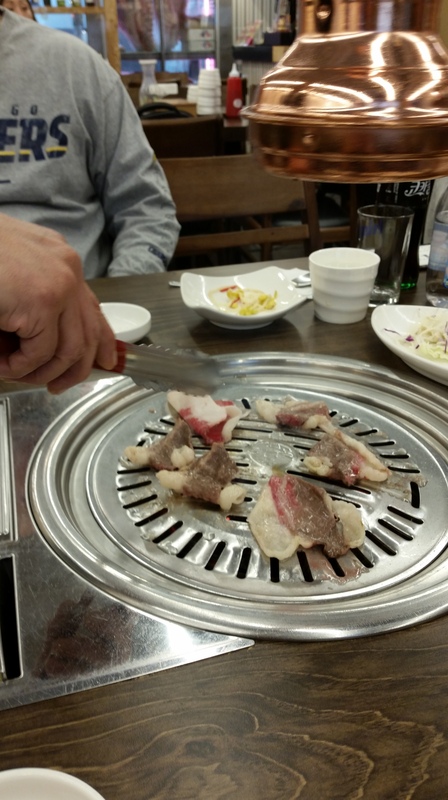 I cannot boast enough about how good the food was in Seoul. Every meal I had there was memorable. There were quite a few Korean dishes I’d already had out here in California, but I definitely needed to try them in Seoul!! 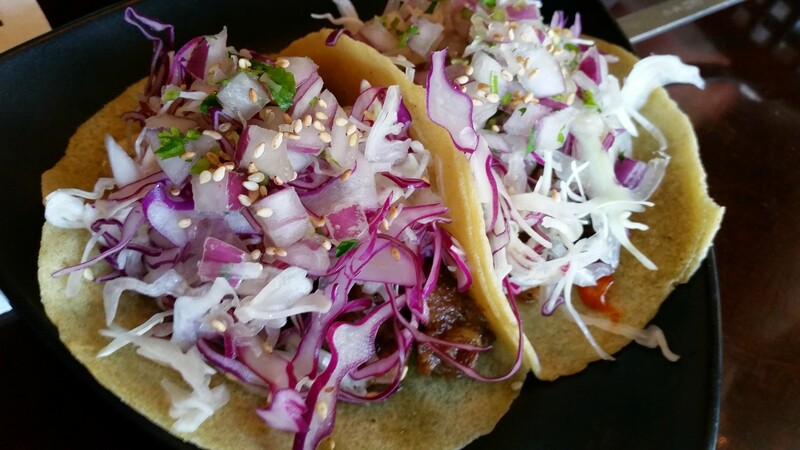 Some of these things on my “must-eat list” spanned the range from pork bbq to Mexican-Korean fusion food. 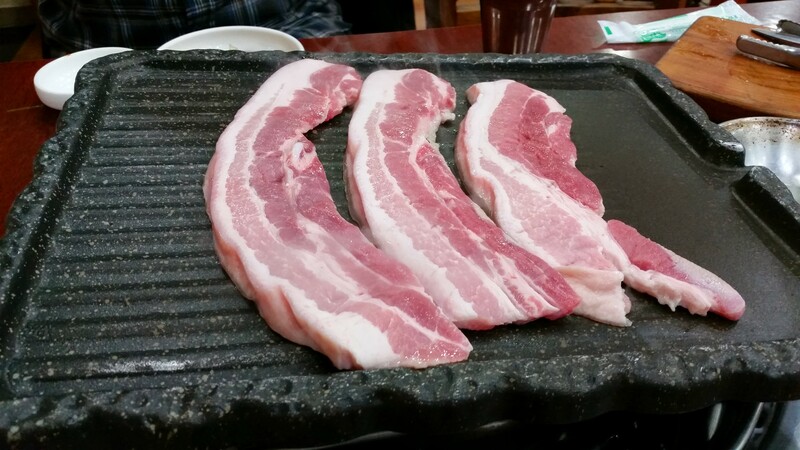 Somewhere on the top of my “must-eat list” was Samgyeopsol. 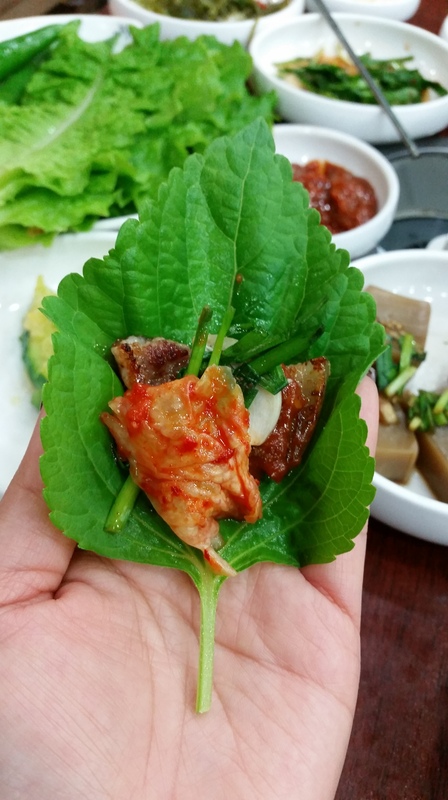 One thing that really stood out to me was how different the Samgyeopsol (pork belly) was in Korea versus what we get served here in California. No doubt they’re doing are doing it right in Seoul! 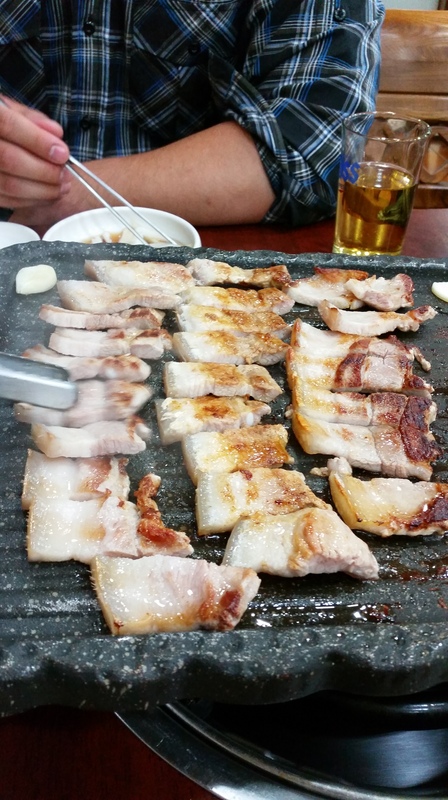 The Samgyeopsol was an actual piece meat; always thick, juicy, flavored, and with the right ratio of meat to fat. Most of the pork belly I’ve had in California is so thin. Hey, we may as well be honest with ourselves and call it bacon. So one night while in Gangnam, we happened to walk by a small restaurant right next to the Coex mall. Judging by the delicious scent wafting from the place I couldn’t resist, and we ended up getting a table. Oh how I miss REAL pork belly….. 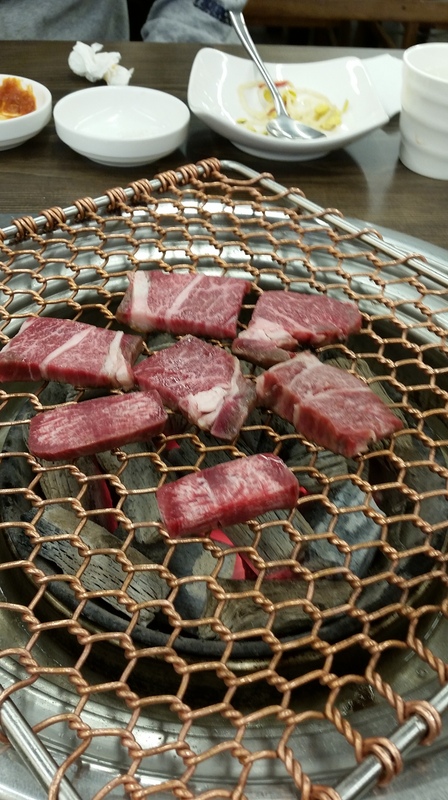 The other thing that was memorable for me was Korean beef. I’d already heard beforehand that beef was more expensive in Korea, but that still didn’t prepare me for the sticker shock! I bit the bullet one night & splurged anyways. Sometimes hungry + cranky = anything will do to fill the tummy. So we strolled into a restaurant in Myeongdong & ordered the Korean BBQ beef set (assorted cuts); total price $100 USD for two people!! Although it was reaaallly mouthwatering, for the amount we ate it definitely wasn’t worth it. But hey, I take 85% accountability for my decision. The other 15% I blame on my stomach. I’m still glad for the experience, but the next time I’m in Seoul it won’t be something I’ll try again. 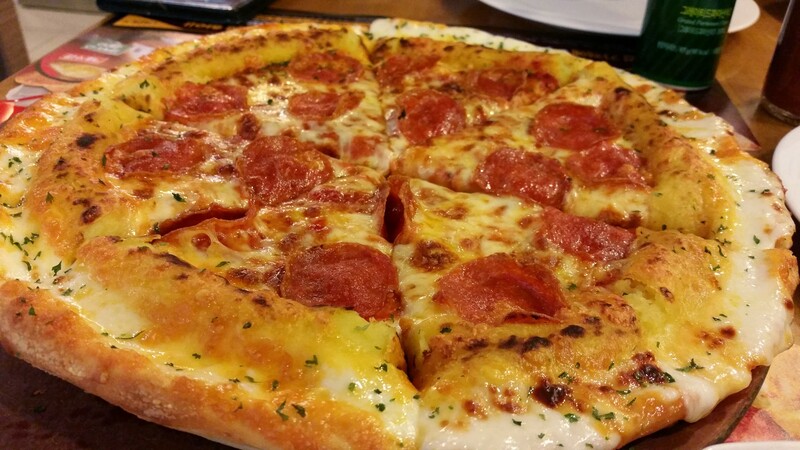 Another item on the list; Korean pizza. One day after our DMZ tour we walked around Insadong and ended up in a Pizza Hut restaurant (Yes, I said it. Pizza Hut). There was all sorts of crazy combinations with a lot of toppings. 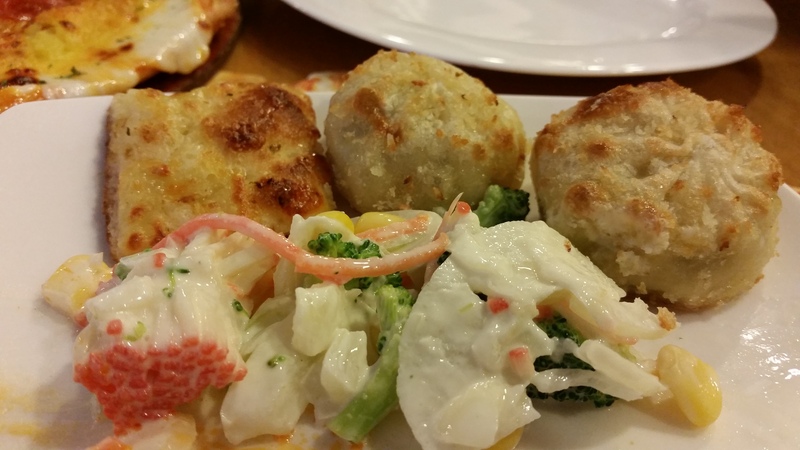 We saw one combo that had bulgogi meat, shrimp, corn, assorted veggies, cheese, and a sort of cream drizzled topping. I don’t know if I could have enjoyed, or even tasted, half of those toppings on just that 1 pizza. The one we ended up ordering was recommended by our waitress. It was a bit more tame on the toppings, but still good. The “golden pizza” had a crust filled with cheese, and then around that was a ring of sweet potato filling. Yummy! Dinner and dessert in one go. 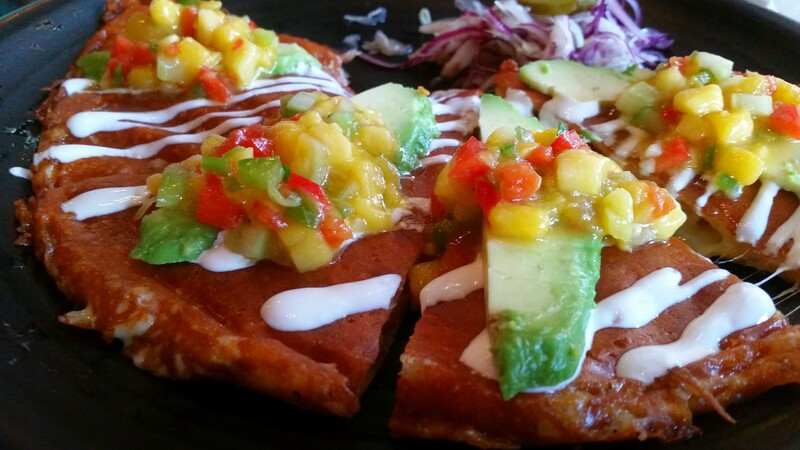 Now last but not least on the must-eat list; Mexican-Korean fusion. Now being a girl from Southern California (with access to all kinds of great Mexican food) I was really curious how this would turn out. We headed to Vatos in Itaewon. 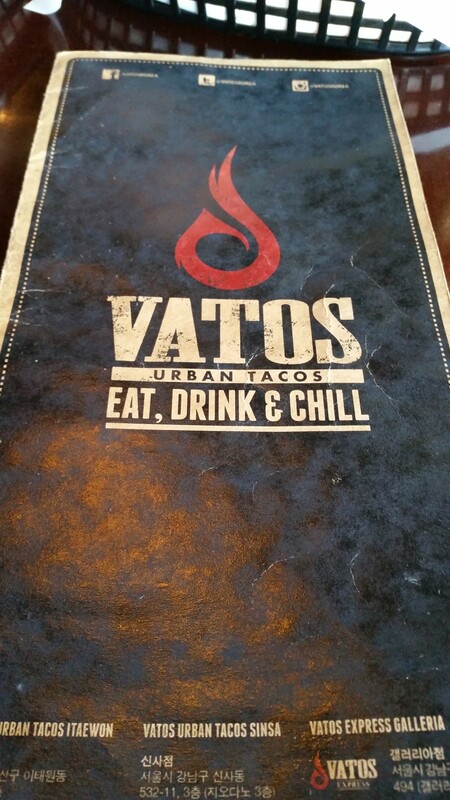 Vatos is really well known, and I had heard the wait can be up to 2 hours during peak hours. Luckily for me & my stomach it was early lunch on a weekday, so we got seated right away. We ended up ordering their most popular dishes. First up were the kimchi carnitas fries, then the galbi tacos, and a final order of their shrimp quesadilla. Oh man, this place did not disappoint! 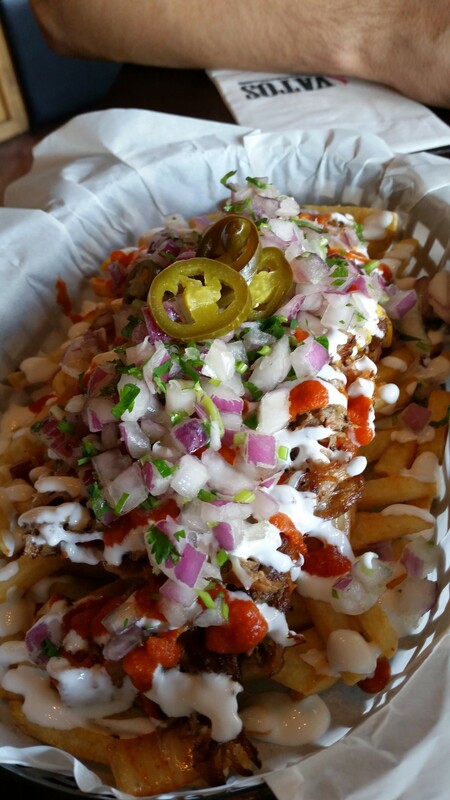 The kimchi carnitas fries were the best. 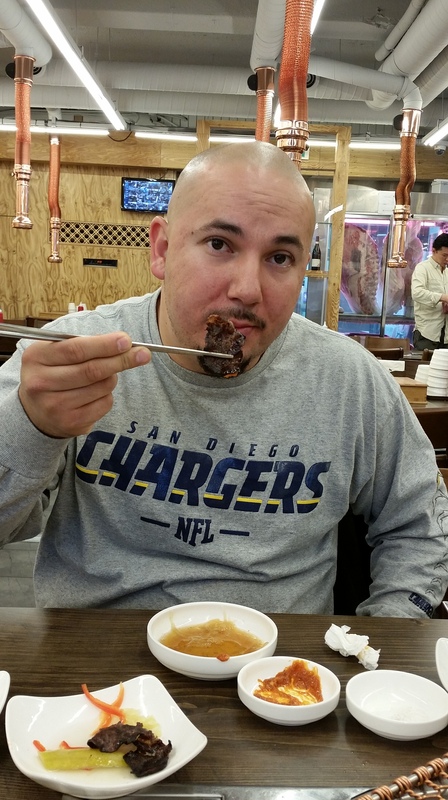 It was just a good mixture of both kimchi and great carnitas meat. Of course we had to order a couple of drinks as well. I had a mango tequila with Tecate. Not my first drink like this; the owner must have seen it in a California restaurant and brought it over to Korea. 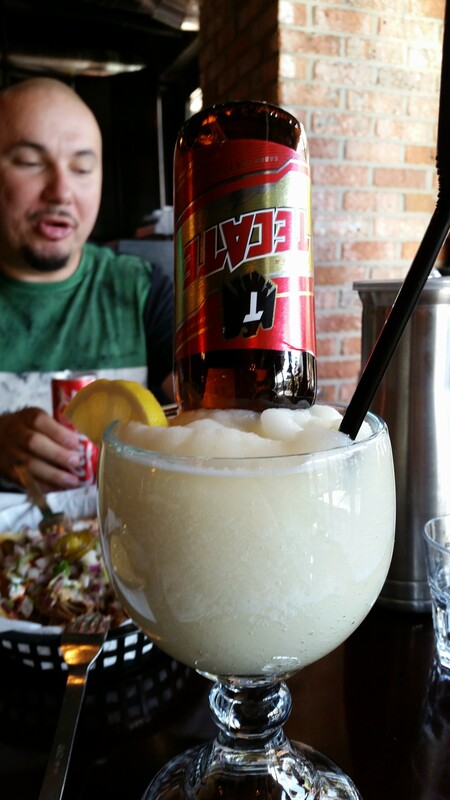 The only difference was that they used a full Tecate bottle. I’ve usually had them with the smaller Corona-ritas. 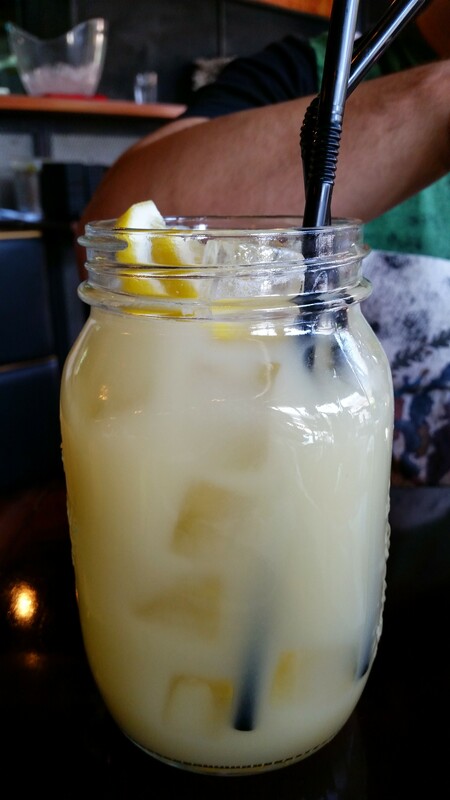 The other drink was a deadly mixture of Makgeolli rice wine and tequila. 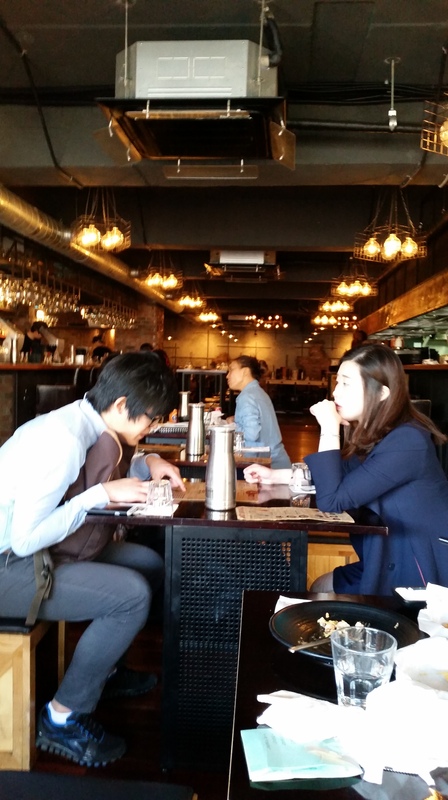 So if you’re ever in Itaewon, definitely stop by this place the good atmosphere & great eats!! That wraps up this post….see you in the next one! 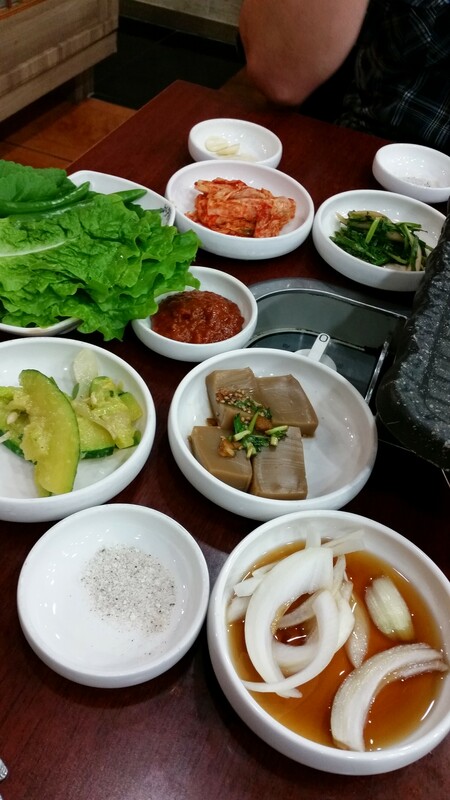 I had a wondeful time in all the places around Seoul & enjoyed all the food! That’s great. If you are more interest in Korea, I recommend to look at my blog. http://luckyturtles.com/ I’m introducing about Korea.